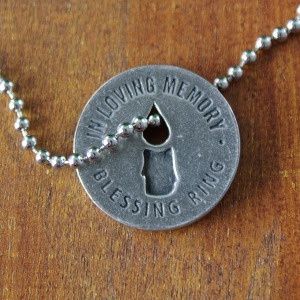 Blessing Rings make thoughtful gifts that touch many hearts. 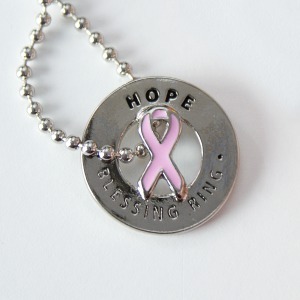 They are meaningful and versatile charms that look great layered on a bracelet, necklace, key chain loop or safely stored in your pocket. 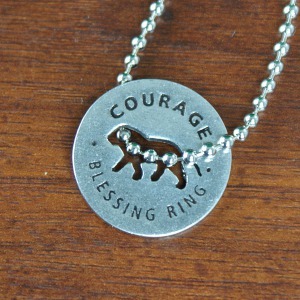 With many blessing rings to choose from, the possibilities of expressing your courage, strength, faith, hope and more are endless. 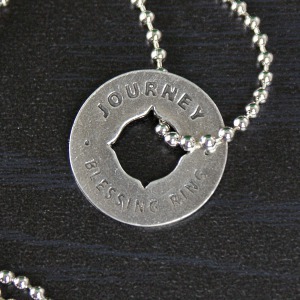 Whitney Howard has created these wonderful, hand-crafted in recycled, lead-free pewter rings to help move along this journey. 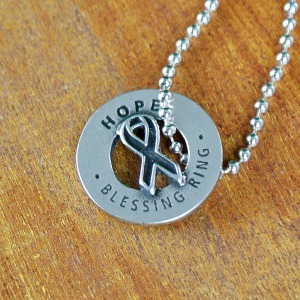 These quarter size rings make encouraging gifts for yourself, friends and family members who deserve a little blessing. 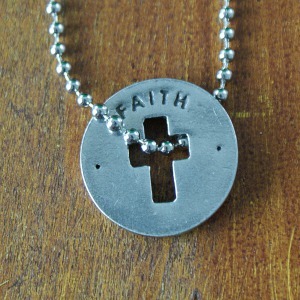 Accessories your life with blessing rings that truly come from the heart. 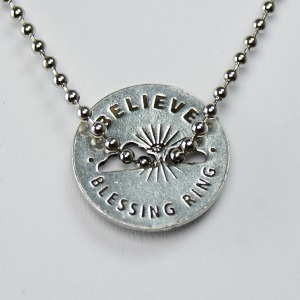 Whether worn on a necklace, bracelet, key chain or in your pocket, Whitney Howard Blessing Rings are there to support you each and every day.